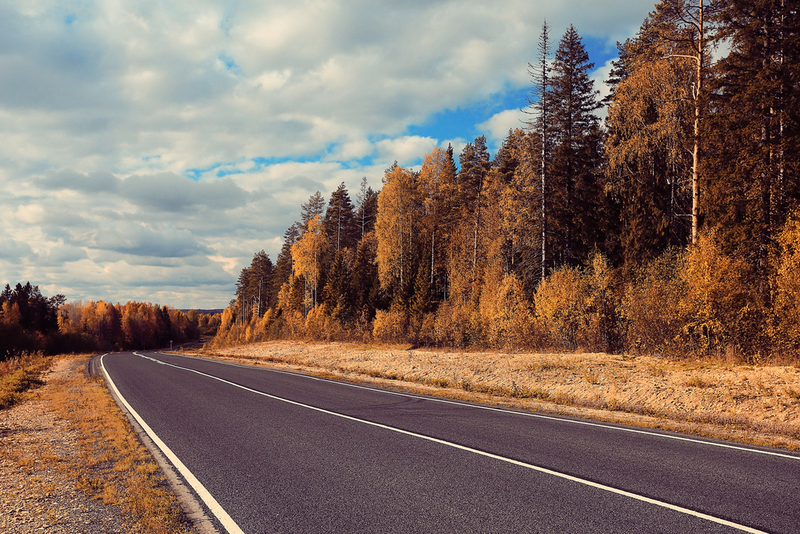 There is nothing like driving across the country when the autumn leaves are falling around you, the weather is just starting to chill, and there are some of the best driving tunes on the stereo. Road Trips are one of the great American pastimes, but in order to have the best road trip, you need the best tunes. Obviously personal music taste differs greatly for everyone, but here are some road trip classics, both old and new, that will help to make your fall road trip one to remember. For these songs and complete playlists, as well as more road trip tips including ideas for food, games, apps and safety, check out our Road Trip Planner. Although we run the risk of being a little bit too cute, this song by Grouplove may be an analogy for a relationship, but it works just as well as a literal description of your trip. For something a little different, look no further than “Stay High,” one of the songs of 2014 so far, and the perfect atmospheric song for late night driving. This reminiscing country/pop ballad really sets the scene for an autumn drive, but it will also have you crying by the end of it. Amy Winehouse and Mark Ronson collaborated on a radio show in 2007 to give us this up-tempo version of The Zutons’ original song; they soon released it as a single, and it became an instant classic. Released in 1997, this may be stretching the boundaries of “recent” music a little bit, but this song is the perfect road trip tune, and one of the best one-hit-wonders of the past few decades. These songs need no explanation, they are some of the best rock classics that also happen to double up as the best road trip songs of all time. For a full playlist, go here. So there you have it! Of course, this list is not exhaustive, but remember this next time you plan a road trip: the music is just as important as the destination!